It can be hard to find a well priced restaurant in Covent Garden if you’re not looking for a chain restaurant, but On the Bab is a real gem in this area, and a restaurant I know I’ll be going back to again and again! I was meeting the lovely Lauren from Elle Bloggs (I mean with a name as wonderful as that I just knew I was in for a treat!) for dinner and a catch up over, with a side of blog talk! We weren’t initially planning on visiting On the Bab but as our first choice restaurant didn’t turn out to be what we had hoped, and we didn’t fancy the queues for Dishoom, I remembered that I had just read Andrea’s review of On the Bab and we decided we’d qiute like to try this little gem for ourselves. Though I will say she seems to have lucked out with the light as the Covent Garden branch was quite dark! When we arrived there was no one else waiting (hooray!) and that we would be seated within 5 minutes, which we both agreed was perfect. It was one of those evenings where we had so much to chat about that we actually didn’t look at the menu straight away (I know, it’s a strange occurrence for food bloggers!). I loved the way they served the beer in a slightly different way, and meant that we could pour ourselves another drink without having to catch the eye of the waitress. We started with the pan fried shrimp dumplings which were frankly, incredible. Crispy on the outside but soft on the inside and bursting with flavour, I almost wanted to order a second portion of these beauties. We opted for two main courses to share between us (it was very amicable, don’t worry, as it turns out that we’re basically the same person – I’m already looking forward to my next dinner date with the lovely Lauren): first up was the Korean style kimchi, bacon paella topped with a fried egg. This dish was absolutely delicious: I loved the kick of spice that it had, and the egg was perfectly cooked. The only thing I would change is that I’d have liked a bit more bacon ’cause, you just can’t go wrong with more bacon. It was such an interesting take on a Spanish classic: I love inventive cooking and cuisine and this dish had it all. The other main that we had was the spicy pork steamed buns, which were, well bun-believable. Sorry, I made the pun so many times on the night that I had to make it again in my post! These little soft pillowy clouds are divine, especially with a spicy filling that gives the dish a really firey kick. There’s no lady like way to eat these, you’ve just got to dive in and give it a go! Whilst it might not sound like a lot of food we were more than full by the end of our meal and really delighted at finding such a great restaurant. We wandered off to Covent Garden square to see Heartbeat before nipping upstairs to Brasserie Blanc for a couple more drinks before heading home. 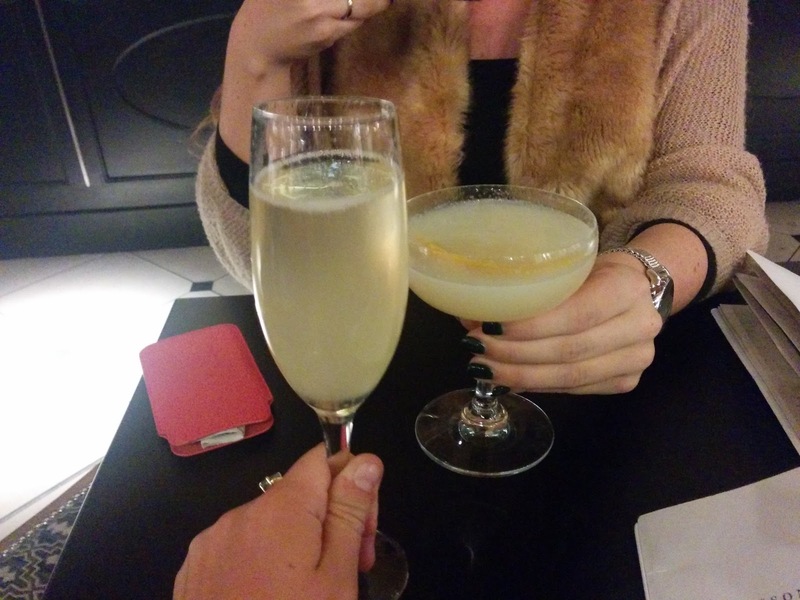 I always seem to gravitate to Brasserie Blanc for drinks when I’m in the area – and usually for a celebration! I went with Andy to celebrate passing my masters before we went to Le Garrick, and I’ve been before with friends to celebrate getting jobs or long overdue reunions, so it was a natural choice for us! 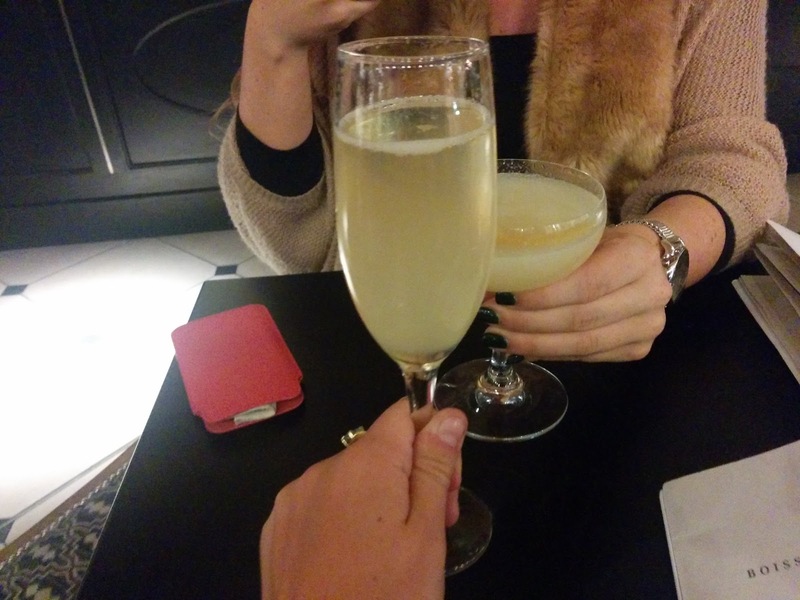 They also make a wickedly good champagne cocktail! I can’t wait to get another date in the diary for dinner with Lauren, I just know it’s going to be another fun night!